Vincent van Gogh loved the work of Japanese artists, and their prints proved to be a great inspiration. He admired the bold way that they cropped images, made striking use of strong colours and focused on the beauty of nature. 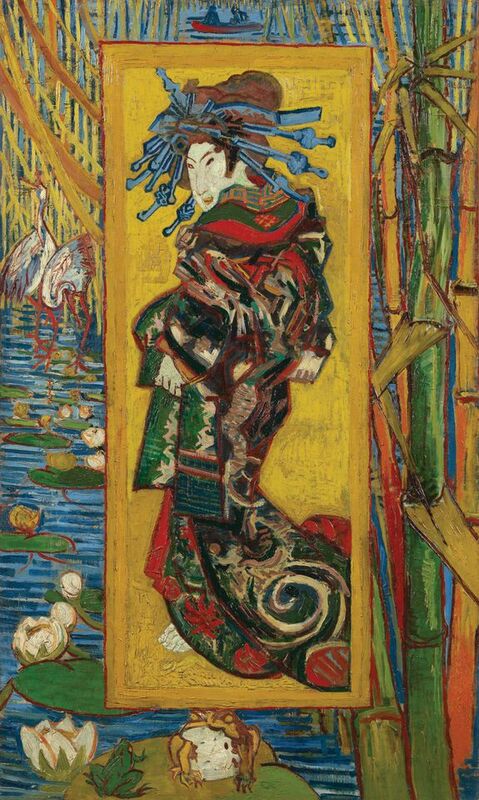 The Dutchman collected hundreds of Japanese prints, many of which are preserved at the Van Gogh Museum in Amsterdam. Although there have been earlier exhibitions in Japan examining Van Gogh’s fascination with Japanese art, this show is based on the most detailed research and is the most ambitious. At its core are 40 works by Van Gogh, with key loans coming from the Amsterdam museum, including Self-Portrait as a Painter (1887-88) and The Bedroom (1888). There will be an important selection of Van Gogh’s own ukiyo-e prints (pictures of the floating world), a few of which he directly made use of in his own paintings. The show has already been presented in Sapporo and Tokyo, and now moves on to Kyoto. It includes a large section examining the influence of Van Gogh on Japanese painting in the 1920s and 30s. Among the surprises will be three rarely seen guestbooks signed by Japanese visitors who came to view paintings in the home of Paul Gachet Jr, the son of the doctor who cared for Van Gogh in the last weeks of his life. On loan from the Musée Guimet in Paris, these guestbooks show Japanese artists making what were almost pilgrimages on the Van Gogh trail. There is a lovely symmetry about Van Gogh being inspired by and in turn inspiring Japanese art. After Kyoto, the exhibition travels to the Van Gogh Museum (23 March-24 June) for the final leg of the tour. In Amsterdam, it will focus more narrowly on the artist’s love of Japanese art. The Kyoto exhibition is sponsored by Takii & Co.